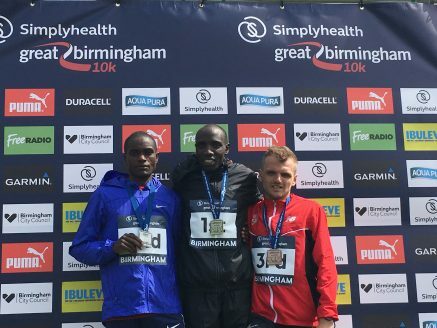 30th April 2017 – In his first race outside of Kenya, Frankline Ngelel (KEN) made an instant impact as he won the Great Birmingham 10k. However, Frankline did need a strong sprint finish to just hold off fellow PACE athlete Timothy Toroitich (UGA) as the two broke clear early on and then ran stride for stride the rest of the way. Frankline took the victory in 28:41 with Timothy just a second behind in 28:42.